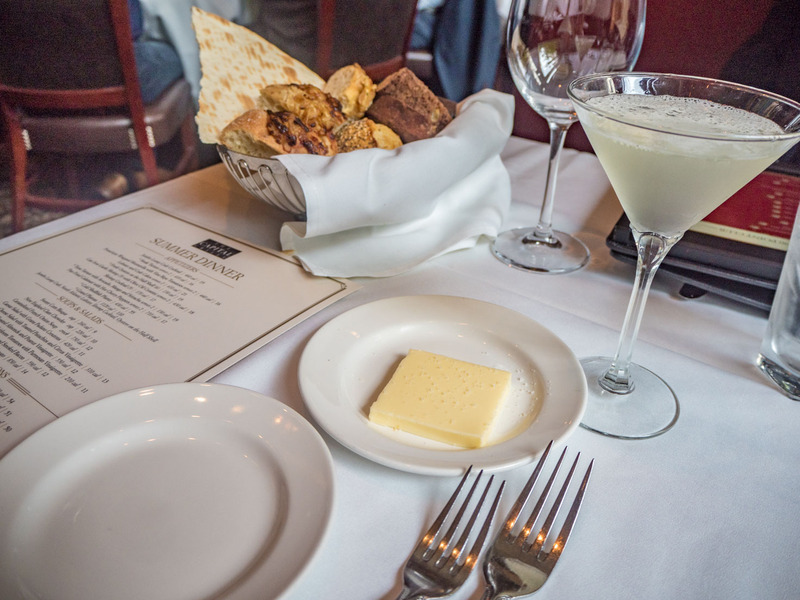 In my previous post about Chicago, I promised you to tell you more about Capital Grille. Whenever I travel to America and the city happens to have a brunch, I simply can’t not go. Over the years, whenever I spoke to Americans, they are never that enthusiastic about the prospect of going there and rather direct me toward some other steak house. 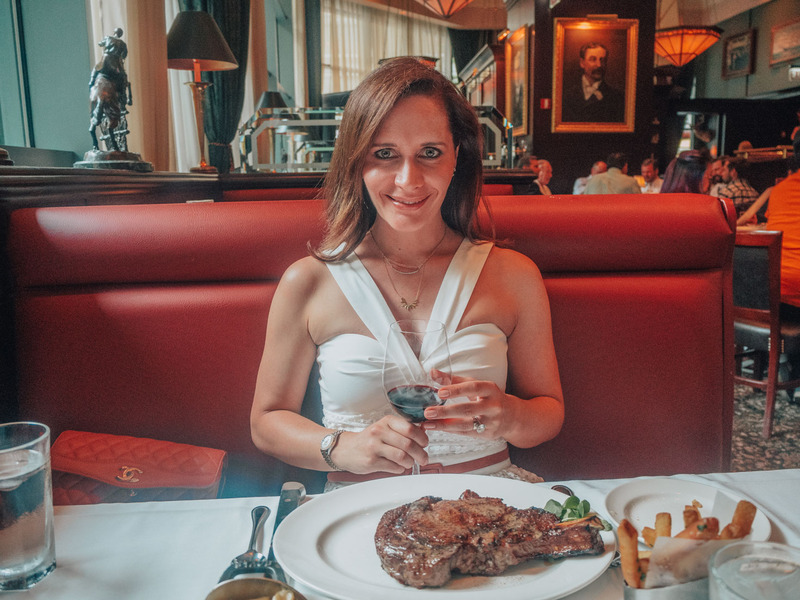 But I personally love this chain and, in this post, I will tell you about my experience in Capital Grille Chicago. 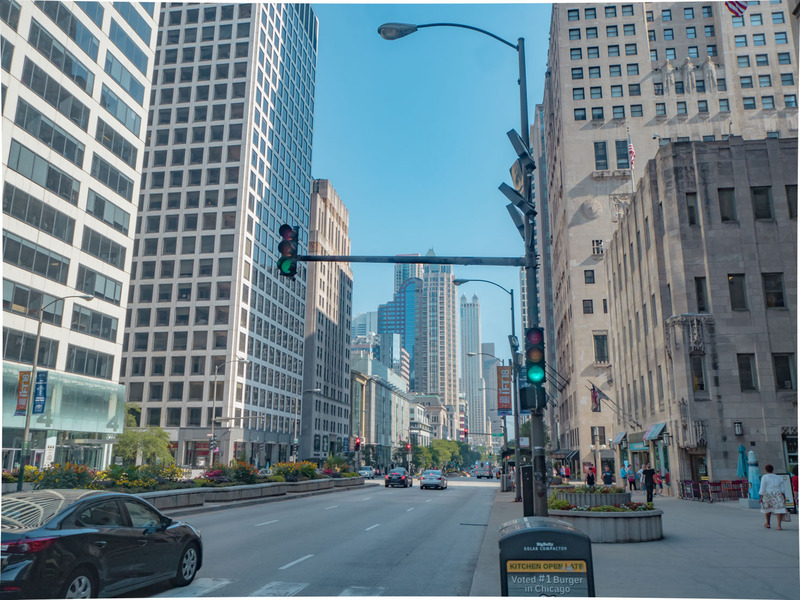 There are three Capital Grille restaurants in Chicago and the one I have been to is in downtown so we could walk from the hotel. I love the two signature statues of lions at the entrance. 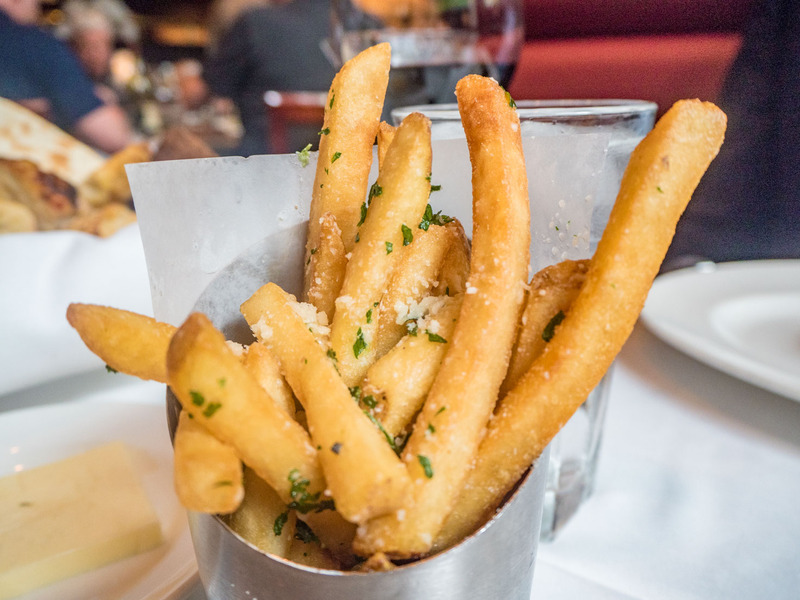 Every Capital Grille has them and that is also your first sign you arrived at a right place. My husband says it is very male looking place. 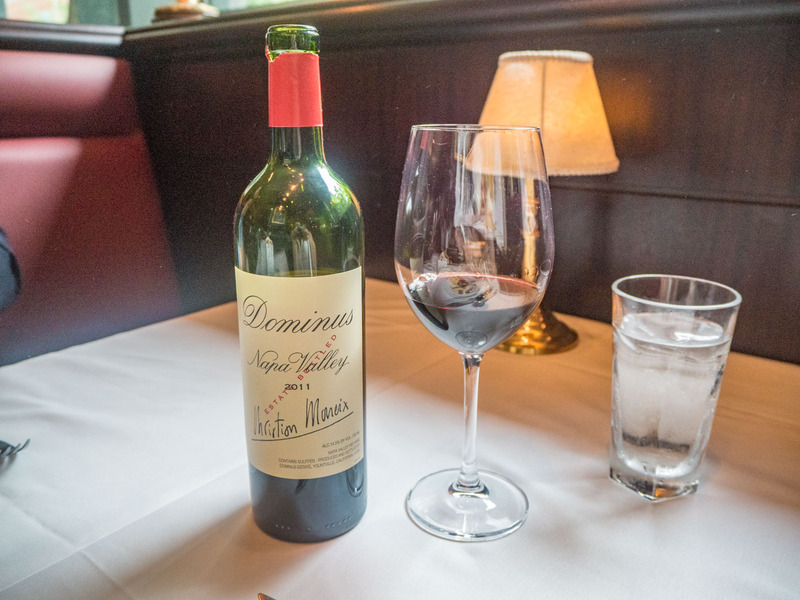 Kind of the place where you want to have a boy’s lunch or dinner with massive steaks and red wine. The decoration is very dark and heavy with dark red leather booths and dim light. It is true, that you can hardly call it a perfect place for the first date. Thankfully I don’t need a first date anymore and I absolutely love the classic design. The best is to always ask for a booth to have more privacy. I always start with the pineapple martini, which is vodka infused with fresh pineapple juice. Apparently they leave the vodka in pineapple for something like a week and then it is ready to serve. I am not sure, if this story is true, however the drink in awesome so I will take it. 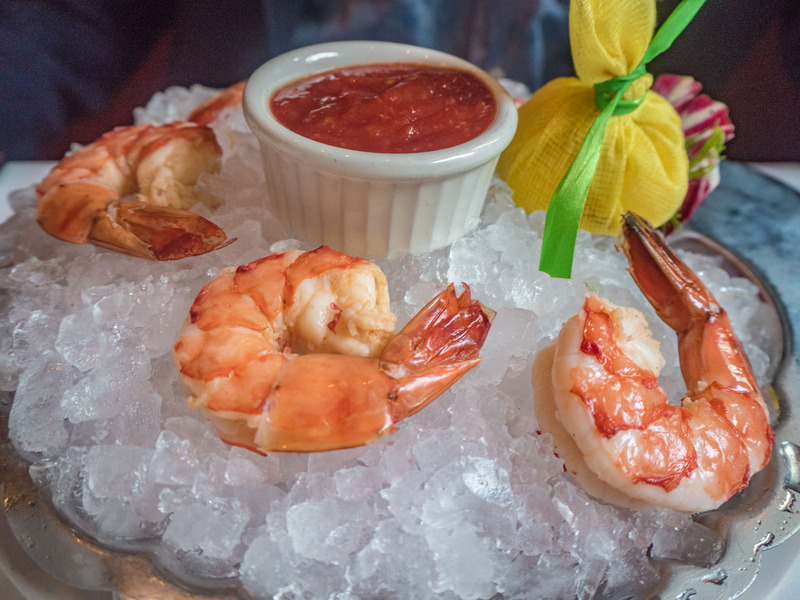 The food is simple but perfectly prepared. This time, I had more of a men’s food. 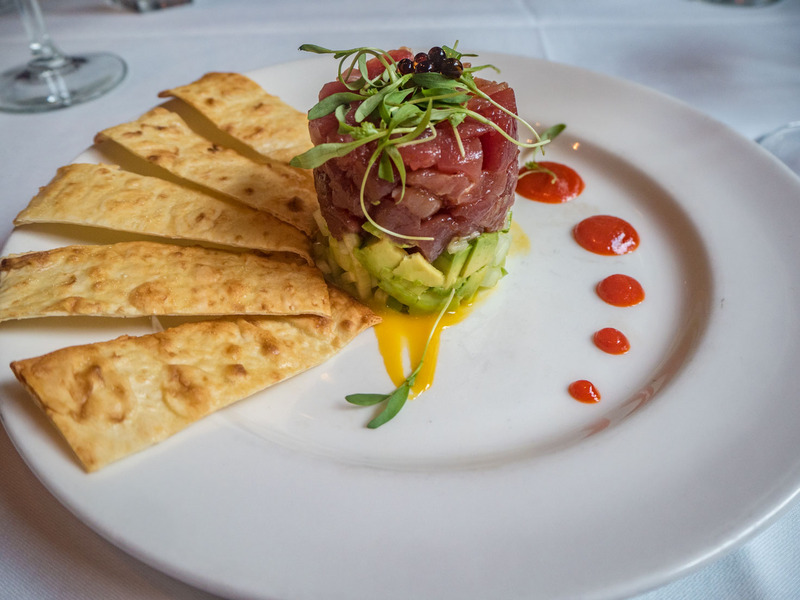 I opted for tuna tartar with avocado as a started and it was beautifully presented and delicious. I am not a girl who eats salads all day long and definitely can appreciate a 30 days cured steak and chips. So as a main I chose 22 oz (yes, really!!) 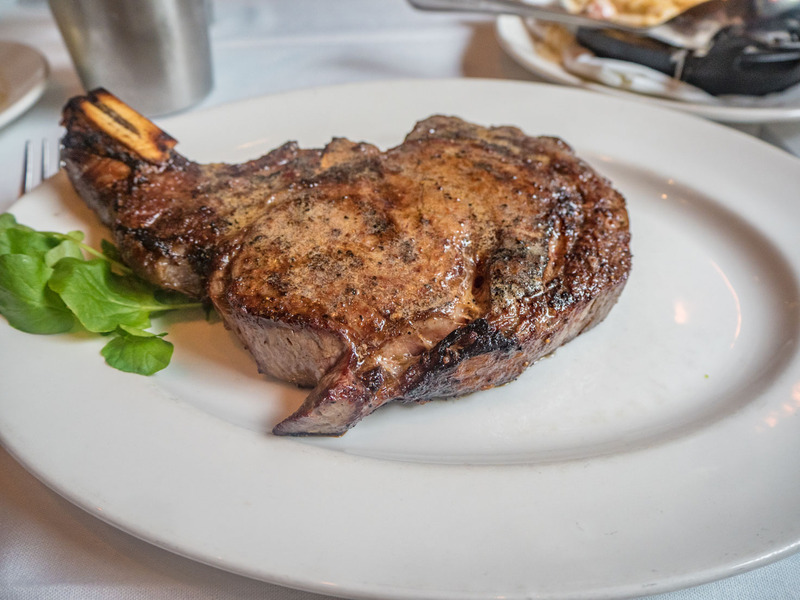 ribeye steak, simply grilled medium rare. If you are shocked about the size of this, don’t worry, as there was no chance in the world I would ever finish this, but ribeye is always my favourite cut and they didn’t have smaller size. Funny enough, my husband chose more of a lighter dish with cooked tiger prawns followed by fillet steak. We also shared some Parmesan and truffle fries and lobster mac’n’cheese. 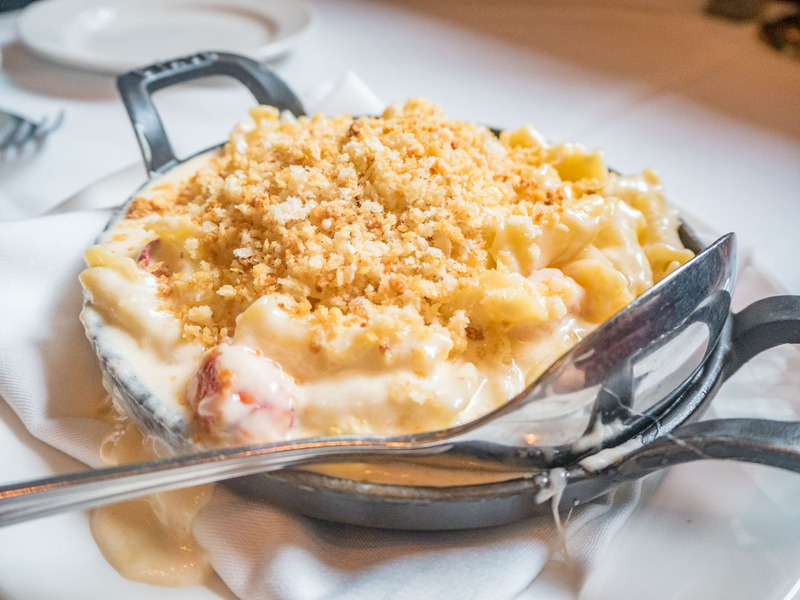 Their lobster mac and cheese is the best you can get and is really worth ordering. For pudding we chose to share the most delicious cheesecake with caramelised top. I still don’t understand, why in Europe you can’t ever get such a good cheesecake. Well apart of Ottolenghi, who does it beautifully. All the cheesecakes in Europe seems to be too fatty and with unappetising texture. 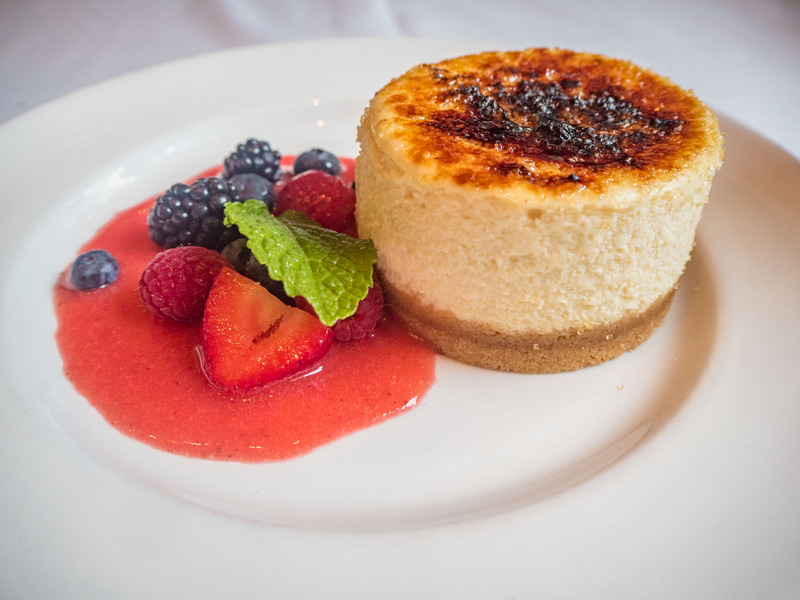 American cheesecakes are completely different, and this one with brulee like top was incredible. So for me this is one of my favourite steakhouses ever. If you haven’t been, it is really worth trying.